"I continue to relish the Arc from afar, expecting it to bring the best that October can offer"
What’s the first thing that comes into your mind at the mention of October? 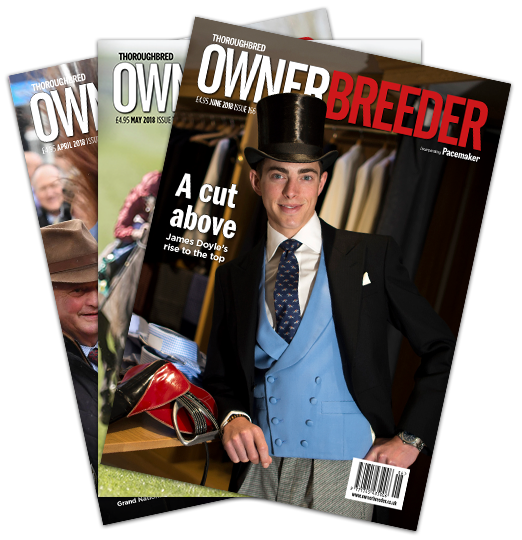 For more than 30 years of my life it was the punishing grind of the bloodstock sales circuit, when I hardly ever seemed to be at home. Looking back now I readily recognise that watching people do their shopping and writing about it as a form of madness, and I find it hard to believe that I actually enjoyed it. Once freed from that burden I could revert to my original notion of what that month was all about. October meant the Prix de l’Arc de Triomphe, a race that had captivated me since 1958, when Ballymoss, an early hero of mine, confirmed his status as champion of Europe. Seven years later I experienced the best October of my young life, as I was actually present at Longchamp to witness a momentous Arc performance which I firmly believe has never been surpassed. I had been at Epsom to see Sea-Bird win the Derby, but I was too naïve to recognise the worth of his victory. Yes, he had won impressively, virtually in a canter, but I couldn’t decide whether that made him exceptional or established that his victims were a sorry lot. His runner-up, Meadow Court, had previously been rated as just the third- or fourth-best colt in Paddy Prendergast’s string. But Meadow Court promptly won the Irish Derby, then the King George VI and Queen Elizabeth Stakes. Those victories paid handsome tribute to Sea-Bird, who meanwhile had followed up his Epsom triumph with an easy victory over older horses in the Grand Prix de Saint-Cloud. And it appeared that Sea-Bird was not the only star performer on the French turf that year. 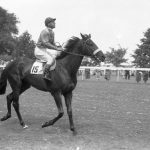 Reliance, three-parts brother to 1963 Derby hero Relko, could boast an unbeaten record, and by September he had notched five times, his successes including the Prix du Jockey-Club, the Grand Prix de Paris and the Prix Royal-Oak. Those exciting developments hinted at an epic contest in the Arc, and I secured the crucial weekend off, so that I could be on hand to witness it. Having led a very sheltered life up to that point, I had never been out of England, so I had to obtain a passport to accomplish my adventure, and as I was unable to drive and had insufficient funds to contemplate a flight. That meant overnight rail journeys – without the extra expense of a sleeping car ticket. I would just hope to grab some shut-eye as best I could. But I got to Paris pretty much unscathed, then foolishly let myself be persuaded to venture up the Eiffel Tower, an experience which gave me a life-long fear of heights. Later in the day I needed height to obtain an advantageous position to watch the race, but that merely entailed a climb towards the top of the old stand, where I could perch on a wall, somewhat precariously. It wasn’t very comfortable, but it did afford me a marvellous view as the 20 runners paraded. The best representatives of France, England, Ireland and Italy were joined by the top American three-year-old Tom Rolfe, and Anilin, the greatest horse ever bred in Russia. There was never such an array of talent in any Arc, and there would be no field to compare with it until Dancing Brave’s year, 1986. I’m still inclined to rank the 1965 group as the top vintage. Despite the obvious embarras de richesses, everyone seemed to think that the race would be all about the clash of the French three-year-old titans, and that indeed proved to be the case. Both lay handy throughout, allowing the belief that a mighty struggle between them would ensue in the closing stages. But that was not what we got. Early in the straight Sea-Bird pounced on the leaders and swiftly drew clear. Reliance chased nobly and soon left the rest behind, but even as he extended his advantage over them, Sea-Bird was widening the gap up front. Inside the last furlong he drifted left, but at the finish he was adjudged six lengths clear of Reliance, who had five lengths to spare over Diatome. You had to see it to believe it, and it was no wonder that the media exhausted all the superlatives in describing it. The best piece I saw in the following day’s papers was by Quintin Gilbey in the Sporting Chronicle. For him it was the greatest single performance of his lifetime – and he had been watching the best horses since before World War One. If anybody still doubted the value of the form, there came emphatic evidence of its worth from some of the beaten throng. Diatome and eighth-placed Carvin finished first and second in the Washington DC International. Fifth-placed Anilin won the Preis von Europa by four lengths. Seventh-placed Demi Deuil trotted up in the Premio Roma. Sixth-placed Tom Rolfe went home to be decorated as America’s champion three-year-old. My first adventure outside England had been an outstanding success. I had bought myself an ‘I was there’ experience whose memory would never fade. But the travel arrangements had not been great, and I came home knackered after very little sleep. I didn’t want a repeat of that, so I told all and sundry that I wouldn’t go for another Arc until I could expect to see something better. I’ve maintained that resolve and never have been back. What chance a second trip in the future? Remote in the extreme. Still, I continue to relish the Arc from afar, expecting it to bring the best that October can offer, and it usually delivers. I even backed and tipped the winner once, having secured some tasty odds about Three Troikas (1979) before her victory in the Vermeille and made her my confident selection in my Arc preview for Paris Turf. Strange to relate, they fired me the following week. I tipped Ivanjica (1976) too, and was minded to back Star Appeal (1975) when I noticed that he was at insulting odds for a winner of that year’s Eclipse. Sadly, it was then too late to get my money on. Another longshot winner, but one I could never have backed, was Topyo (1967). I cursed him for beating Salvo on the day, but now I have one of his shoes on my desk as a paperweight, I’m inclined to think better of him. Unsurprisingly, I suppose, I resented Sassafras (1970) for ending Nijinsky’s unbeaten record, but I revelled in Alleged’s double (1977, 1978), especially the second of those triumphs, at the end of a season when he had seen little action. My reason for remembering Urban Sea (1993) was to debit her as the poorest of Arc winners, but who was then to know that she would produce two exceptional sons in Galileo and Sea The Stars (2009), the latter himself an Arc hero? It was good to see the likes of Vaguely Noble (1968), Mill Reef (1971) and Peintre Celebre (1997) confirm their status as champion three-year-old at Longchamp. Likewise, Dancing Brave (1986), given precisely the same ride by Pat Eddery as Greville Starkey had in the Derby, but with a happier outcome. I suspect that Arc gets as many views on YouTube as all other Arcs put together. 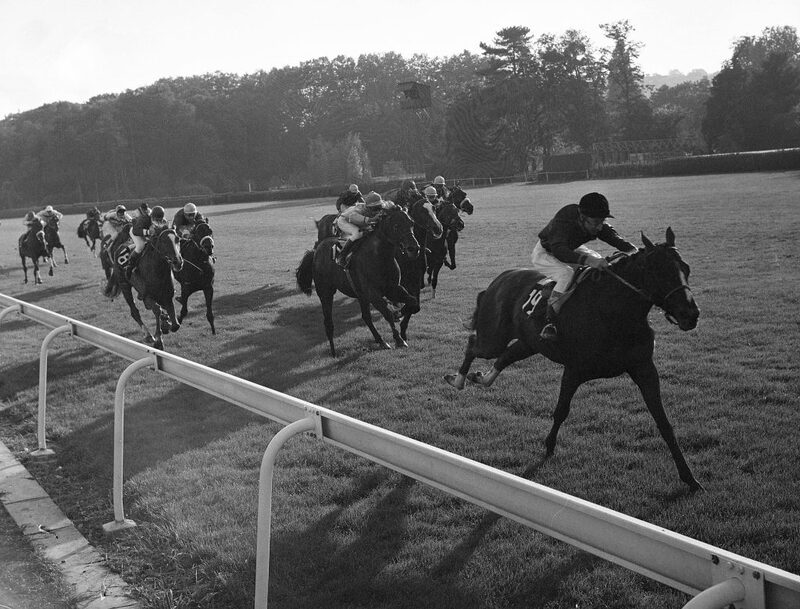 Epsom never had more convincing winners of its three great races than in 1963, when Relko won the Derby, Noblesse the Oaks and Exbury the Coronation Cup. I loved little Exbury and welcomed his Arc success that year. One Arc winner whose merits are often overlooked was Rheingold (1973). I remember him fondly, not least because I was pals with his owner, Henry Zeisel, at whose nightclub I had some rare old times. But I also can’t forget that Lester Piggott once told me that ‘on the day he won the Arc, Rheingold was as good a horse as I ever rode.’ There’s food for thought. 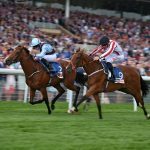 As I write this, the 2018 Prix de l’Arc de Triomphe is a keenly anticipated event on the horizon. By the time you read this, it may well be history. Chances are it will be history worth remembering.